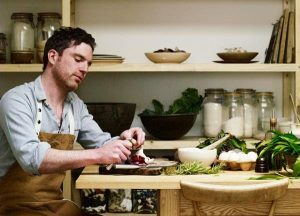 The Green Barn welcomes award-winning author, chef and cookery teacher Gill Meller of River Cottage, cooking from the kitchen garden at The Green Barn for a special one-night-only dinner, a unique pop up event. 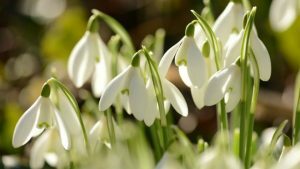 Enjoy the spectacular early Spring bulbs and carpet of snowdrops on February 10th & 11th at Shankill Castle. 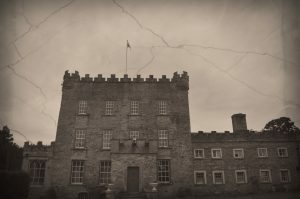 Castle tours also available by appointment. 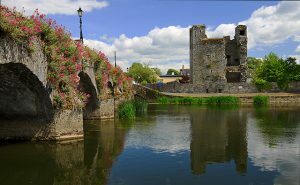 Adults €5, €10 castle tour and walk. Group, family ticket and concessions available. The wonderfully talented Marie O’Leary gives a demonstration on how to create an array of beautiful Easter and early spring floral arrangements and decorations for your home. 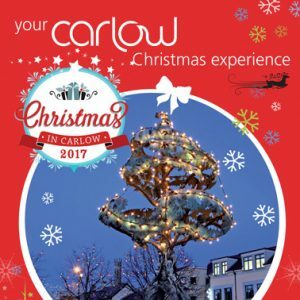 €10 for attendance including morning coffee and be in with a chance to win Marie’s arrangement on the day with raffle tickets at €5. 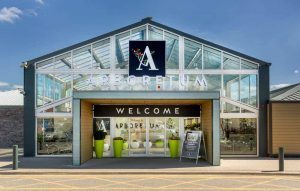 Altamont Plant Sales will also be stocking flower arranging basics to help you create your own stunning arrangements at home. Places are limited so booking is recommended. 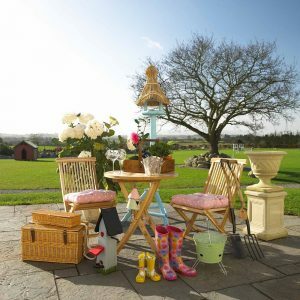 The perfect location for an Easter Egg and Bunny Rabbit Treasure Hunt. Each child receives a basket and a set of clues... they then have to find the golden nuggets and win a chocolate surprise at the end! There will also be an opportunity to meet some of the new little lambs and enjoy the adventure playground. The wonder of woodland plants is explored with talks by Jimi Blake of Hunting Brook Gardens and Mike Keep of Shady Plants. 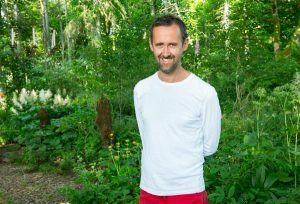 Jimi Blake, stellar plants man, gardener and visionary creator of Hunting Brook Gardens brings us on a comprehensive journey through the vast array of flowers and foliage in the Hunting Brook Woodland Gardens. Mike Keep gives a talk on the history of ferns and their uses in traditional and modern gardens. 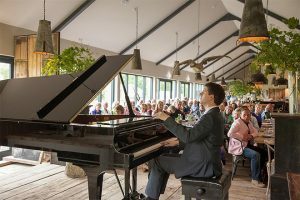 Tickets cost €25 including morning coffee, complimentary buffet lunch, talks and priority admission to a rare plant sale. Places are limited for this event so booking is recommended. Help Cinderella find her shoe in time for the tea party at Rathwood. 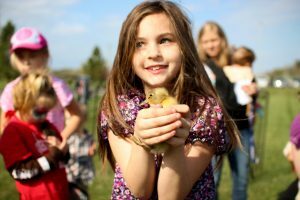 Together with Cinderella, visitors will hop aboard the Rathwood Express Train down to the woodland where they will meet the fairy godmother and feed her geese. During the slipper decorating workshop each child will be able to design their own slipper to bring home. There will also be an afternoon tea party fit for a princess, with Rathwood home-baked treats, a selection of finger sandwiches and yummy hot chocolate. 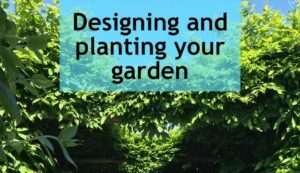 This course provides a valuable introduction to garden design and is aimed at providing the participant with the tools to enable them to design their own dream garden. 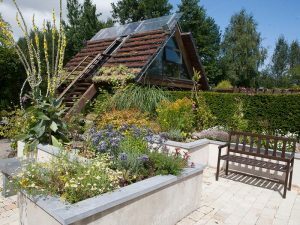 It covers all aspects of the design process including analysing your garden, surveying it, gathering inspiration on how you want it to look, drawing up a garden design plan and the implementation of your design. 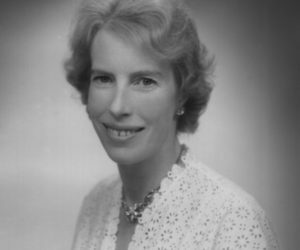 Delivered by Ingrid Smyth MGLDA, Dip, Hor. and PMP Project Manager. 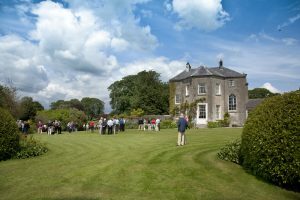 Burtown House and Gardens hosts the rare and special plant fair, in association with Bord Bia. 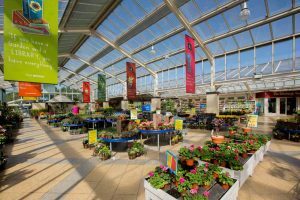 Features over 40 specialist stands of rare and unusual plants with expert advice from growers. Exhibition of botanical work by acclaimed botanical artist Wendy Walsh at The Green Barn Restaurant, Shop and Gallery. 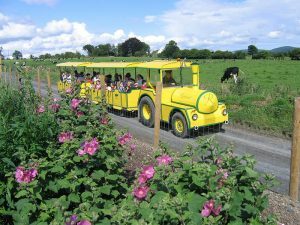 All children receive a craft activity to take home, a train ride trail with lots of surprises and characters along the way, admission into The Maze of Ireland and a free hot chocolate voucher for the on-site restaurant. Jacinta Crowley-Long returns to Altamont for her second one-day painting master class for beginners and improvers. Classes consist of an initial demonstration by the artist and students will then have an opportunity to paint with helpful guidance on choosing a subject, composition and painting techniques from Jacinta. Classes take place within the borders of Altamont Plant Sales and in the classroom. One day course including morning coffee and complimentary buffet lunch €75. Places limited, booking essential. It’s back and bigger than ever! 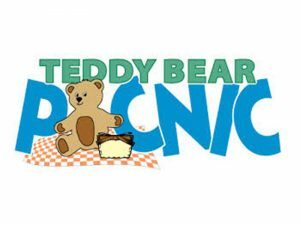 Join us on the Teddy bear picnic for a day you won’t forget. Go on an adventure with Goldilocks and the three bears and visit the teddy bear factory where you will create your very own bear with Goldilocks and her friends. 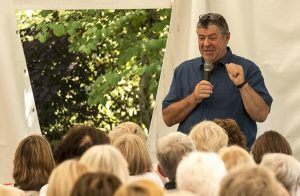 The Festival of Writing and Ideas will mark its seventh year in 2018, bringing you a weekend of stimulating dialogue and discourse, gathering together intriguing international minds – historians, novelists, journalists, film-makers, poets, theatre directors, war correspondents, biographers, artists and political commentators – and inviting them to Borris Village for a few days. 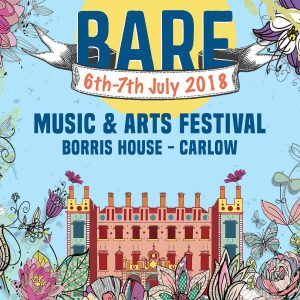 Bare 2018 takes place in the magical Borris House Estate with the Blackstairs Mountains as a backdrop and the River Barrow flowing beside it’s beautiful woodland and gardens. 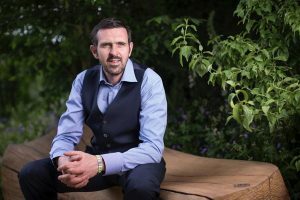 This year the Carlow Garden Festival continues over 11 days and promises a busy programme offering a variety of gardening workshops and talks set to inspire every level of gardener. 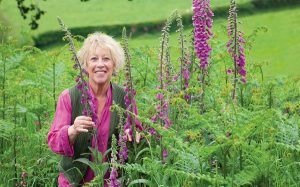 The 2018 programme features an appealing mix of world-class UK gardeners including Chris Beardshaw, Carol Klein and Fergus Garrett combined with the very best of Irish garden broadcasters, writers and new trailblazers in Irish horticulture. 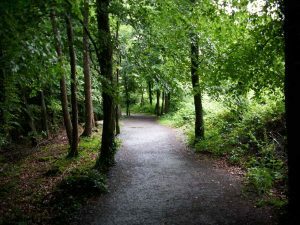 This nature walk will be along the River Barrow, Leighlinbridge. Participants will be enjoy the surrounding nature and explore the wonders it brings. 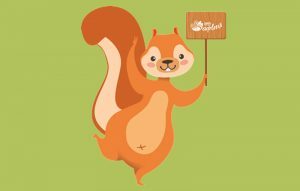 The group will collect items along the way and create natural crafts at the end of the walk. Sarah believes in plant-driven design. She is developing a visual vocabulary using plants; their shapes, forms and patterns to compose her designs. Through an overview of past and current work she will give real examples and show how her design processes work. 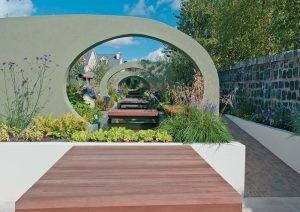 She will discuss how she developed her renowned Olympic garden and about her 2018 Chelsea Garden. Have you ever wondered what it takes to Design a Dream Garden? This talk by award winning garden designer and interior architect Leonie Cornelius takes you on a journey from concept to completion and gives a unique insight into the design steps needed to achieve a truly special and personalized space. 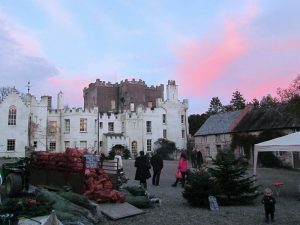 Often described as the undisputed queen of Irish gardening, Helen Dillon is a legendary plantswoman, international lecturer, author and creator of the world famous Dillon Garden. Having moved house in 2016 Helen speaks about setting up a new garden at her new home, bringing new challenges and new opportunities. 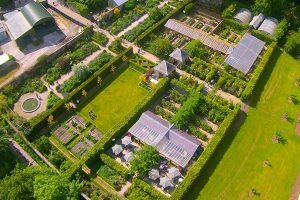 Helen will offer a personal reflection on the pleasing aspects of good garden design and the joys of establishing her new garden. Drawing from the challenges and triumphs she is facing in creating her impressive new garden in Dublin, Dillon offers a personal, intimate, and passionate account of the pleasures of gardening in small and sometimes difficult spaces. 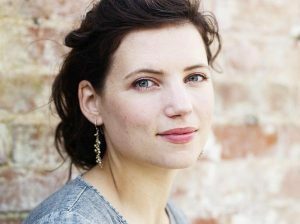 One of Ireland's great gardeners and a firm favourite on the Carlow Garden Festival programme, Helen's entertaining and witty style will appeal to both the novice and more experienced gardener. 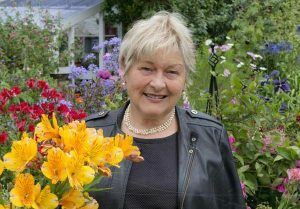 Join Shirley Lanigan, the noted Irish author as she talks about the changing world of open Irish gardens, with reference to the growth of interest in things organic and responsible and will take parts of the garden as illustration. 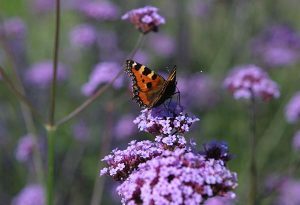 Two talks to take place in the Delta Sensory Gardens, first talk to be held on Monday July 30th by John Anderson, Head Gardener at Windsor and Savill Gardens and the second talk to place on Monday August 6th by Elma Fenton. 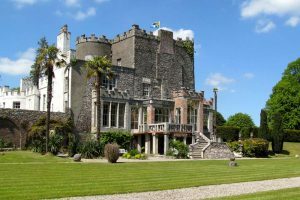 John Anderson, Keeper of the Gardens at Windsor Castle and Savill Gardens promises an interesting and informative talk looking over his career from Mount Usher to Inverewe, Exbury and now the gardens of Windsor Great Park. 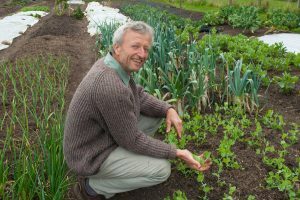 This talk will highlight what plants and gardens have influenced John’s passion for gardening and look at which of these plants can be found at the beautiful Delta Sensory Gardens. 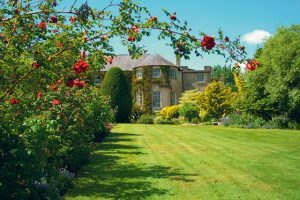 It is fitting that the exceptionally talented Fionnuala Fallon, Irish Times gardening correspondent, leads this tour around the garden of the great artist and painter Philippa Bayliss. 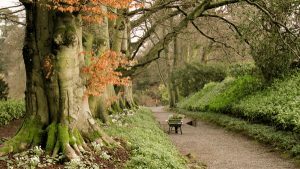 This walking tour of Altamont Gardens is led by Cormac Downey, OPW Tree Officer. 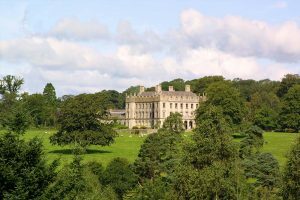 This tour promises to be an exciting journey through a historic setting with its fine plant collections, Robinsonian style landscapes, man-made lake and specifically the ancient oak woodland and will take in other magnificent specimens of trees to be found at Altamont Gardens. 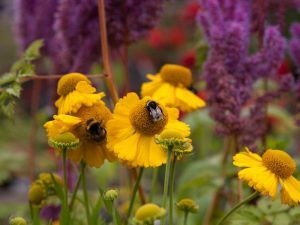 What makes a great gardener? 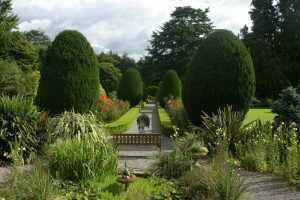 Stephen Anderton looks at the lives of men and women, past and present, who have made great gardens admired throughout the world. What drives them to work in this deliciously frustrating medium where every element is growing or dying? Which gardeners were not only passionate plant-lovers but also nurserymen, painters, novelists, soldiers, architects, engineers, politicians, philosophers and fashionistas? 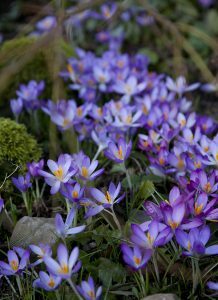 Which gardeners - rarest or the rare - can design and structure and layout of a garden as well as the detail of the planting? Some of the names you will know, some will be a wonderful surprise. 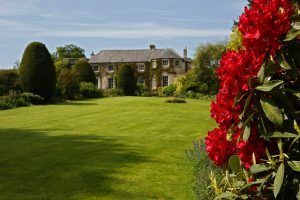 Afterwards take a stroll around the stunning walled garden of Hardymount. A very memorable afternoon is promised! Charles’ talk explains the principles of a no dig approach, so that listeners can go home to apply the method, in whatever way suits their site and materials to hand. He shows how to clear weeds by mulching on top, without any soil disturbance and shows different composts and how to make your own. He explains how mulches of organic matter work to feed soil life, so that the billions of organisms can help plant roots find their food, air and moisture. Charles illustrates many different vegetables, show methods of planting and pest protection, and methods of propagation. 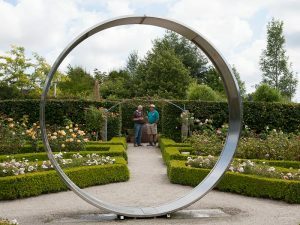 Join Jimi Blake, owner of Hunting Brook Gardens and one of the most acclaimed & accomplished contemporary gardeners of his time as he speaks about his garden through the seasons at Hunting Brook Gardens, Blessington, Co Wicklow, acknowledged as one of Ireland's most dynamic, interesting and innovative gardens. Widely covered in the gardening press the garden has become a mecca for gardeners and hosts visitors from around the world every year. 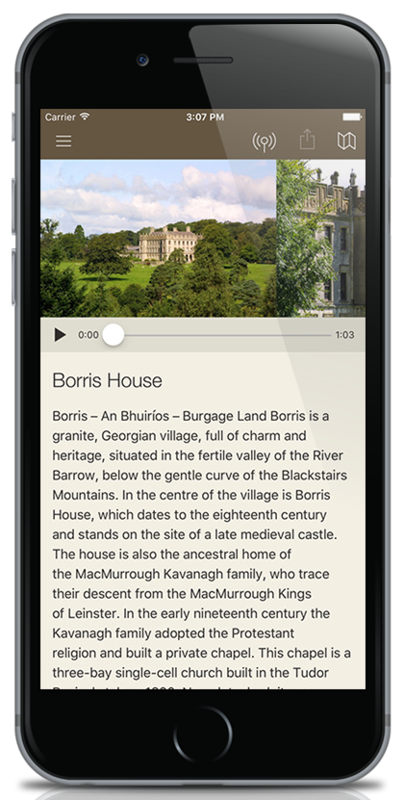 Borris demesne is a fine example of how a formal Baroque landscape has evolved over centuries into the impressive parkland setting visable today. 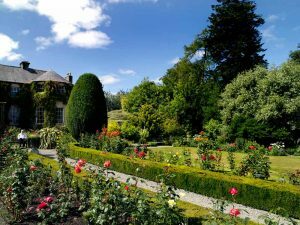 Seamus O’Brien, manager of National Botanic Gardens, Kilmacurragh in Co. Wicklow, will offer his unique insight into this mature estate with its many specimen trees, original Stew Pond and 18th century Ice House. 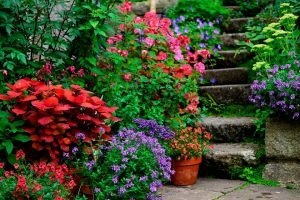 Fiann Ó Nualláin is a long-time proponent of gardening for health and wellbeing. 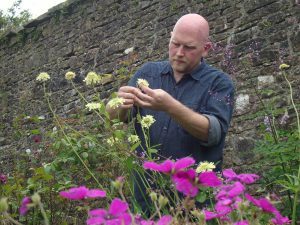 A horticultural therapist by profession and a community gardening advocate for over two decades. He is the author of several bestselling gardening and health books. A regular on Tv3’s Ireland AM to chat about foods and herbs for physical wellbeing and illness management. 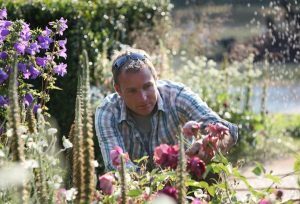 In his talk about ‘A Life in Gardening’, Adam Frost will tell the story of his journey from a young boy uprooted from the city to live in North Devon, to an award-winning garden designer and television presenter. Adam will talk about where he finds his inspiration from - in nature, architecture, art, people and food. As well as drawing on memories, special places and people who have been influential to the way he designs. 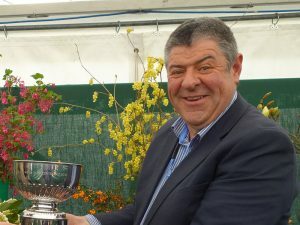 A celebrated Designer, Plantsman and Broadcaster Chris Beardshaw has clocked up over 30 years’ experience in the horticultural world. 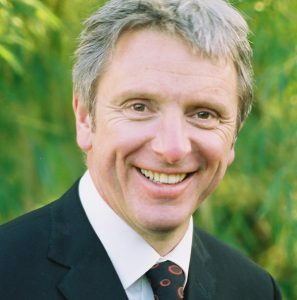 Known for his BBC television and radio work Chris is also a well-loved speaker and lecturer and is the author of 4 books. 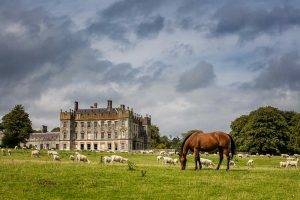 Burtown House is one of two 17th century houses in Kildare to never have been sold, and the only house that you can visit, and have guided tours by family members. It is the only original Quaker house in Ireland that can be visited that is still lived in by the family that built it from this period. Dermot O’ Neill, with us each year by popular demand since the start of the Carlow Garden Festival back in 2002, visits Huntington Castle for a garden tour taking in the many delights of this attraction, from the 17th century parterres to the ancient Yew Walk, the “Wilderness” woodland, the kitchen gardens, the Greenhouse and the recently restored Rose Gardens. 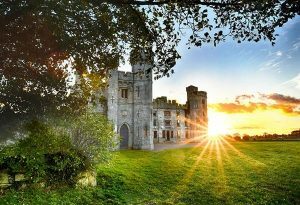 Enjoy a garden party in the beautiful surrounds of Duckett’s Grove Historic House and Walled Gardens. 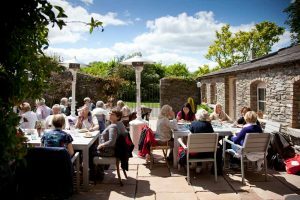 Featuring vintage dress, classical and musical entertainment, traditional activities for the children, picnics on the lawn, a talk with the highly popular and talented UK gardener Carol Klein and the opportunity to view the beautifully restored walled gardens. 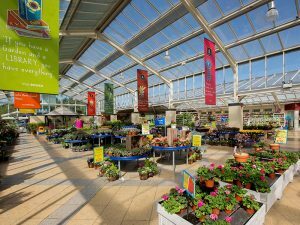 Carol will talk about her time as a nursery owner and gardener and will discuss her favourite plants and the plants she found difficult to propagate. 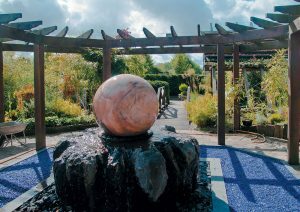 Elma Fenton, renowned Irish and international ecological landscape architect and garden designer promises an interesting and informative tour of the Delta Sensory Gardens. Elma designed the beautiful “Circle of Life” at Delta Sensory Gardens and will impart some of the thoughts behind this. 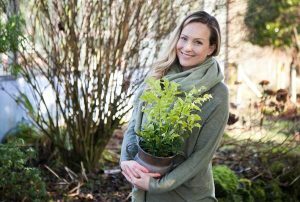 Explore the delights of these beautiful surroundings where Elma shares her passion and knowledge of plants and garden design. 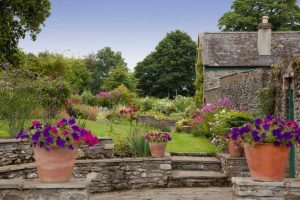 Visitors will have a unique opportunity to rest and indulge their senses of touch, taste, smell, hearing and visual delight at this wonderful garden tour. To be opened by Suzanne McGougald, Trustee of the National Gallery, and late owner of the Solomon Gallery in Dublin. 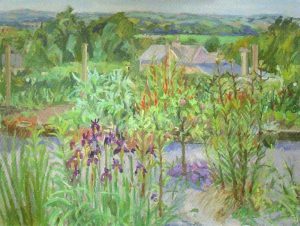 This is the third exhibition started by Seamus O' Brien, OPW Kilmacurragh in which invited artists paint from a different garden every two years. Planning for autumn at Altamont Plant Sales September 29 With Fionnuala Fallon, Horticulturist, garden writer, fower farmer and garden designer. 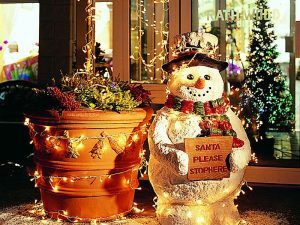 Ireland’s most popular Santa Experience. 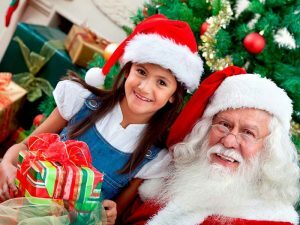 Many generations, from young to old, have enjoyed this magical visit to Santa, Mrs. Claus and their elves over the years. A fun filled hour of entertainment, storytelling, train ride, magical forest walk and presents for the children. 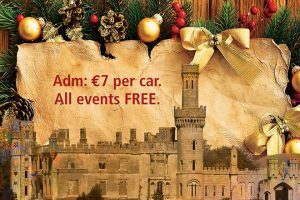 On Sunday December 3rd the historic surroundings of Duckett’s Grove Historic House and Estate will be transformed into Carlow’s very own Winter Wonderland when it hosts its ever popular Christmas Food and Craft Fair. 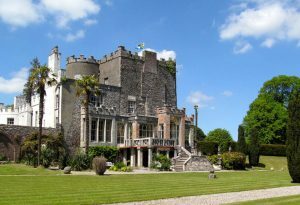 A great opportunity to view this unique collection, first started by Corona North, former owner of the gardens, and now amongst the largest in Ireland, with over 100 named varieties. Guided tours each Monday, Wednesday and Friday at 2 p.m. 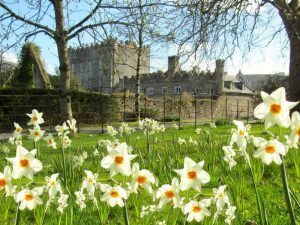 Enjoy the spectacular early Spring bulbs and carpet of snowdrops at Shankill Castle, Paulstown, Co. Kilkenny from 1st to 28th of February with the opportunity to avail of a castle tour delivered by a member of the Cope family. 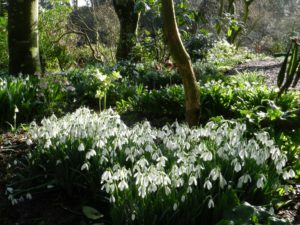 An original 17th century garden, with charming woodland walks featuring snowdrops and Spring plantings, are available every weekend from 11 a.m. to 4 p.m. at Huntington Garden, Clonegal, Co. Carlow. 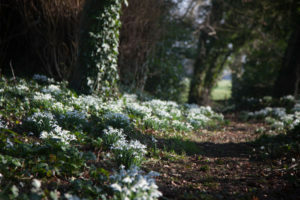 The gardens at Burtown House near Athy will open every Wednesday – Sunday and feature an extensive collection of snowdrops, aconites, hellebores and early bulbs. 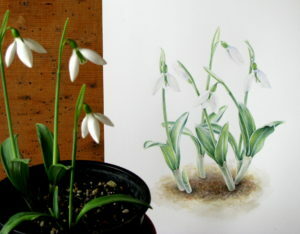 A painting workshop with botanical artist Shevaun Doherty. 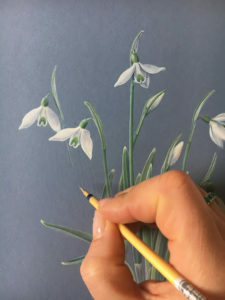 Celebrate the arrival of Spring with this two-day botanical art workshop painting snowdrops with award - winning artist, Shevaun Doherty. 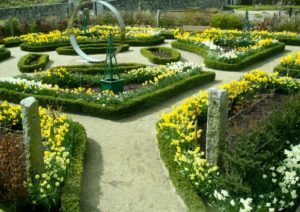 Visit the most extensive collections of daffodils in the country. Numerous varieties on show throughout the weekend.